Chelsea Houska has given her fans the first glimpse of her newborn daughter. 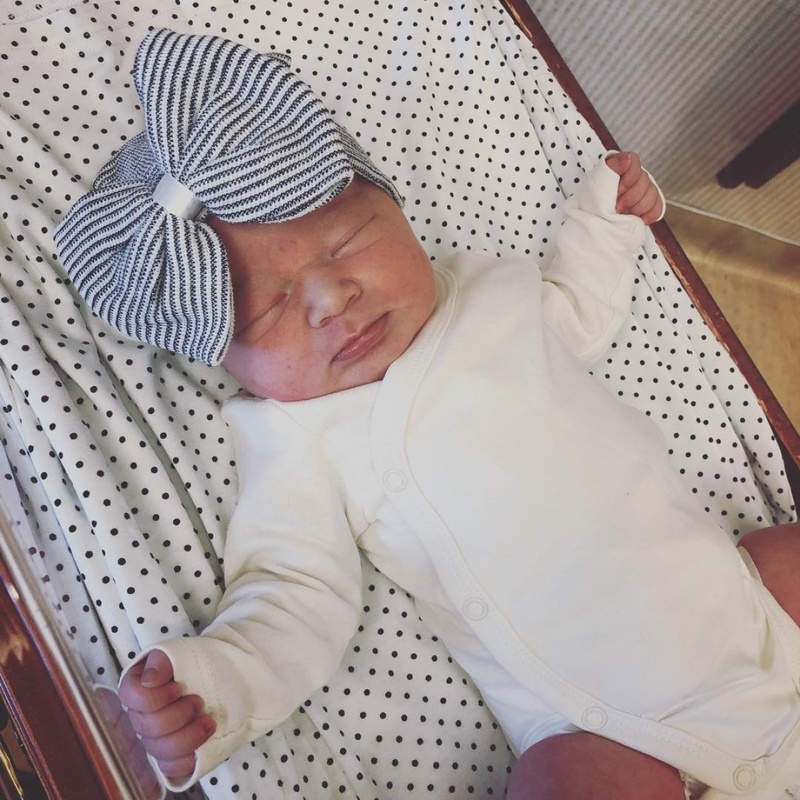 The 27-year-old "Teen Mom 2" star took to Instagram Wednesday after welcoming a baby girl, Layne, with husband Cole DeBoer. Houska shared a photo of the newborn wearing a striped cap and white onesie. The mom-of-three gave birth on her own birthday. "Happy birthday to YOU, sweet baby Layne," she captioned the picture. DeBoer shared the same photo and a sweet message on his own account. "Happy birthday to my sweet perfect wife Chelsea DeBoer @chelseahouska who just gave our family this beautiful blessing!" he wrote. "Sharing the same amazing day I am so in love with our family! Our newest edition Baby Layne!!" Houska is also parent to 8-year-old daughter Aubree with Adam Lind and 19-month-old son Watson with DeBoer. She announced her pregnancy in March. "....GUESS WHAT! A sweet baby girl will be joining the DeBoer clan in a few short months! We could not be more excited," the star wrote at the time. Houska came to fame on the MTV series "16 & Pregnant" before starring on "Teen Mom 2." The show co-stars Jenelle Evans, Kailyn Lowry, Leah Messer and Briana DeJesus.